This tour explores the use of farthest point sampling to compute bending invariant with classical MDS (strain minimization). For large mesh, computing all the pairwise distances is intractable. It is possible to speed up the computation by restricting the computation to a small subset of landmarks. Geodesic Remeshing Using Front Propagation, Gabriel Peyré and Laurent Cohen, International Journal on Computer Vision, Vol. 69(1), p.145-156, Aug. 2006. Compute a sparse set of landmarks to speed up the geodesic computations. 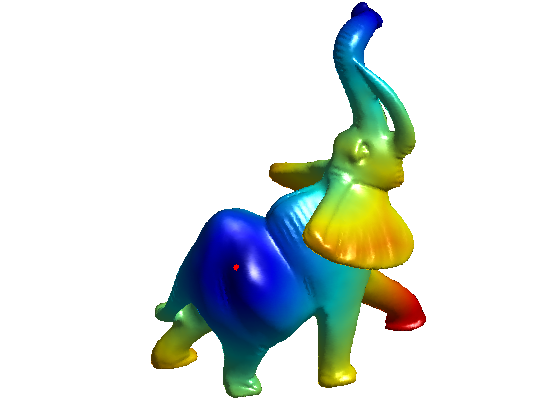 The landmarks are computed using farthest point sampling. Perform Fast Marching to compute the geodesic distance, and record it. Select farthest point. Here, min(Dland,,2) is the distance to the set of seed points. Exercice 1: (check the solution) Compute a set of n = 300 vertex by iterating this farthest point sampling. Display the progression of the sampling. Compute the distance matrix restricted to the landmarks. 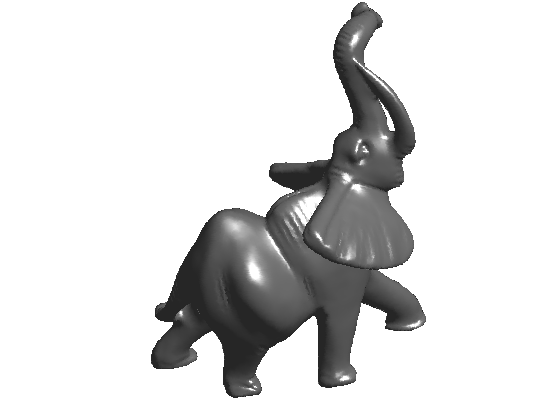 One can compute the bending invariant of the set of landmarks, and then apply it to the whole mesh using interpolation. Compute a centered kernel for the Landmarks, that should be approximately a matrix of inner products. Perform classical MDS on the reduced set of points, to obtain new positions in 3D. 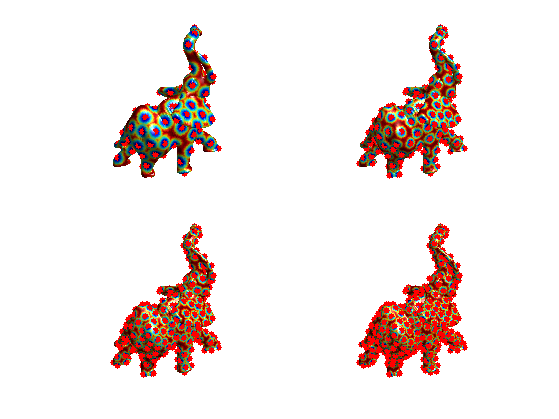 Sparse multidimensional scaling using landmark points V. de Silva, J.B. Tenenbaum, Preprint. Display the bending invariant mesh. 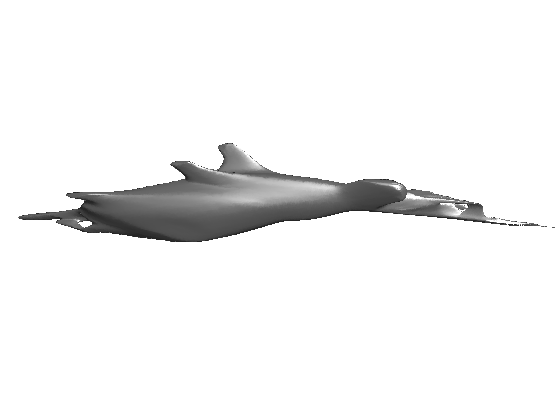 The proposed interpolation method is valid only for the Strain minimizer (spectral Nistrom interpolation). One thus needs to use another interpolation method. A. M. Bronstein, M. M. Bronstein, R. Kimmel, Efficient computation of isometry-invariant distances between surfaces, SIAM J. Scientific Computing, Vol. 28/5, pp. 1812-1836, 2006. Exercice 2: (check the solution) Create an interpolation scheme to interpolate the result of MDS dimensionality reduction with Stree minimization (SMACOF algorithm).